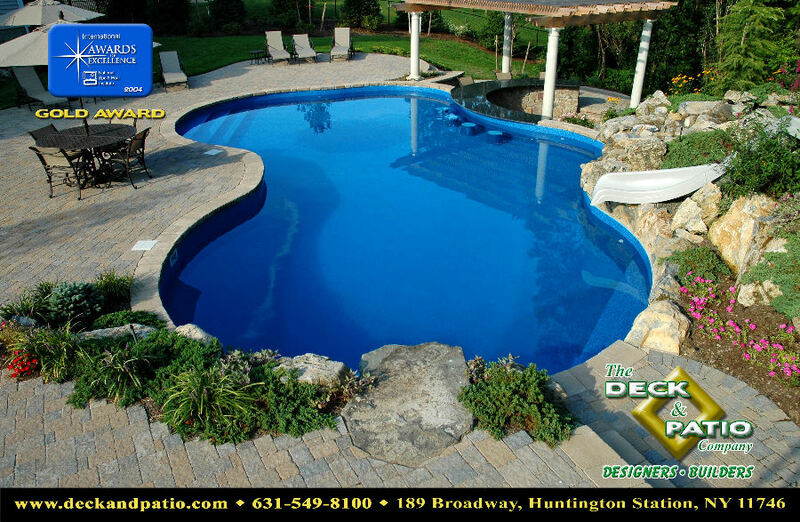 2004 was the year that we really started our quest for cutting edge vinyl pool design. 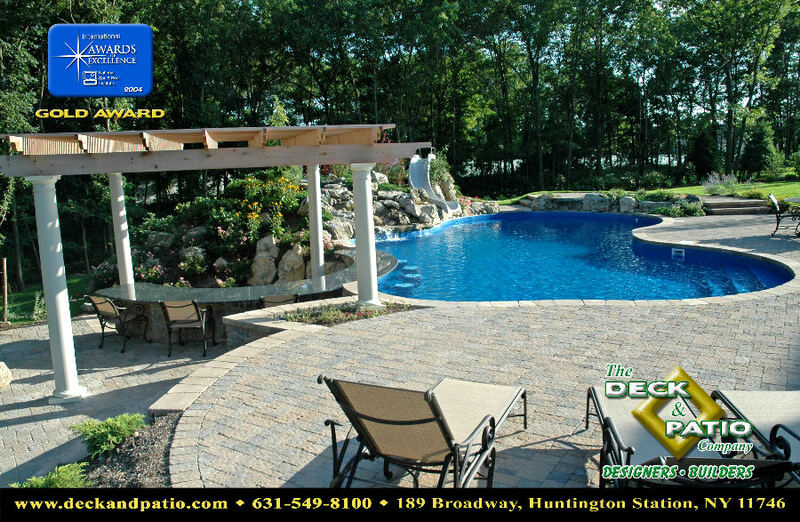 This year we won a gold award for a pool with a swim up bar and 4 barstools. 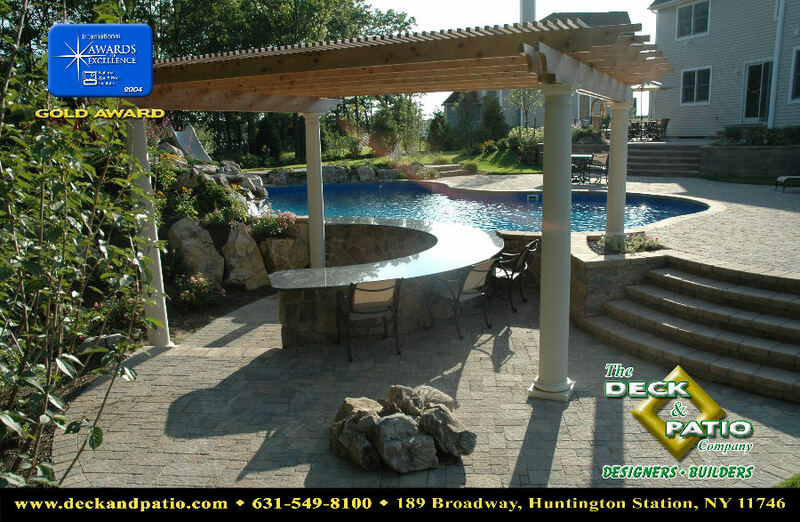 This pool also featured a slide built into a waterfall, 4 levels of tumbled paver patios, a vinyl spa close to the house, a shade pergola, and landscaping. We also started designing our pools into hillsides and shaping the project into and around the contours of steep slopes. This was also a great year for ponds, streams and waterfalls. Take a look at the natural pergola in the second gallery! Click on the photos below to see each award gallery.